Consumers and regulators have been incensed by the discovery that both Apple and Google were storing users' location information. Apple's 'consolidated.db' file was quickly addressed in an iOS update, but Senators Al Franken (D-Minn.) and Richard Blumenthal (D-Conn.) have submitted the Location Privacy Protection Act of 2011 to formally address the issue. The proposed bill would apply to device/OS makers and app developers, for both smartphones and tablets. It would ensure that consumers are made aware of exactly what information is collected, and require their expressed consent in order to collect that information. Wahoo! One more license agreement to read! 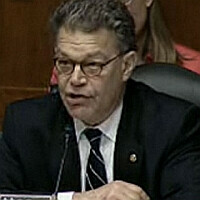 Sen. Franken says that "Our laws do too little to protect information on our mobile devices...Geolocation technology gives us incredible benefits, but the same information that allows emergency responders to locate us when we're in trouble is not necessarily information all of us want to share with the rest of the world." We appreciate the Democrats getting our back, but there is a more practical concern at play: people don't read license agreements. When was the last time you actually read through a license agreement or terms-of-use document, without just checking the "I Agree" box? Yeah, the notion of 'informed consent' via the user clicking the I Accept button is a joke. If you truly want the user to accept a 'service', they probably need to do the acceptance thing at the time they are truly using the service (as opposed when the device is being set up for the first time). Even then, there is maybe a 50% rate of true informed consent. Doesnt Android already does this? At first activation, activation after factory resets, and apps that use location features if its not turned on already? No, I have an Android phone. I'm speaking from experience. What I said is also touched on here:http://phandroid.com/2011/06/15/bill-proposed-to-r equire-users-permission-before-enabling-any-geoloc ation-features/I had to factory reset my Droid X last week; I tried to use something, Google Maps I think and I was asked about location settings. The first time you try to use the browser after activation its asked if you didnt enable it already.Someone made a point about sales reps in stores just allowing things before giving you the phone. Thats a problem. "We appreciate the Democrats getting our back, but there is a more practical concern at play: people don't read license agreements. When was the last time you actually read through a license agreement or terms-of-use document, without just checking the "I Agree" box?" ^^^ There it is...and no amount of hot-air from that clown Franken will change that. With iOS and Android there is no grand conspiracy to gather our location data and do a South Park number on us with the human-cent-I-pad deal. Over time, your favorite bakery, convenience store, grocer, coffee shop, et al will purchase ad space to the geo-location segment. Maybe some of us would like to know the latest special of the moment for nearby customers. As it is, this location harvesting happens whether we want it "used" or not. That's the reality. Don't want the ads? Turn that toggle to the "off" position. Why do we need a new law for that? Especially, why do you want Franken writing that law...good grief... If you don't want to be tracked, you shouldn't even own a feature phone, because those keep location logs too. Just carry a pocket full of change and be ready to do a bunch of walking because you'll be huffing it to the few remaining payphones out there.